Dovid Stein & Benny Friedman. Also Starring Mendy Worch, Boruch Shalom Blesofsky , Nachas and Shea Rubinstein. 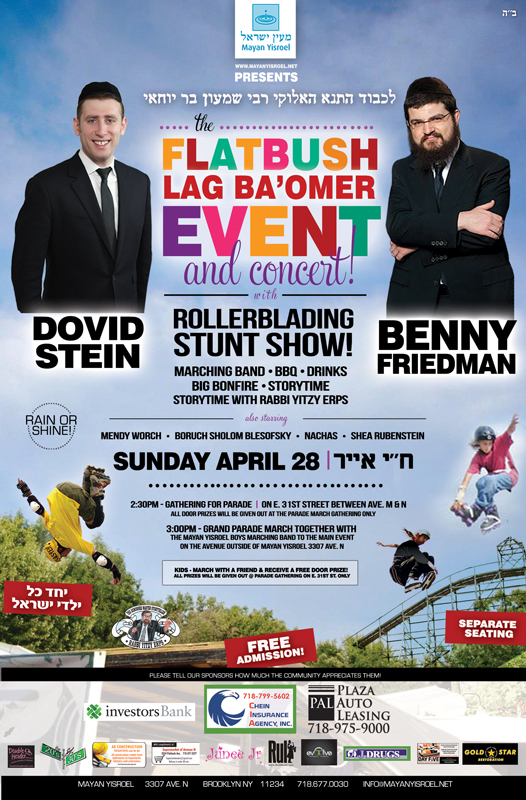 Rollerblading – Stunt Show – Marching Band – Bbq – Big Bonfire – Story Time With Rabbi Yitzy Erps! Sunday April 28th, 2013 – 18 Iyar.